Isn’t it amazing that the farther south you travel the warmer the temperatures get? We had planned this part of our journey for quite awhile. Several years ago we had tent camped in the area in March and had gone snorkeling with the manatees in King’s Bay in Crystal River and thought it would be better in January. Manatees are warm blooded mammals and migrate to the warm, spring-fed rivers on Florida’s west coast. The last time we were here the manatees had largely headed back out into the Gulf of Mexico, this time they were abundant throughout the area. 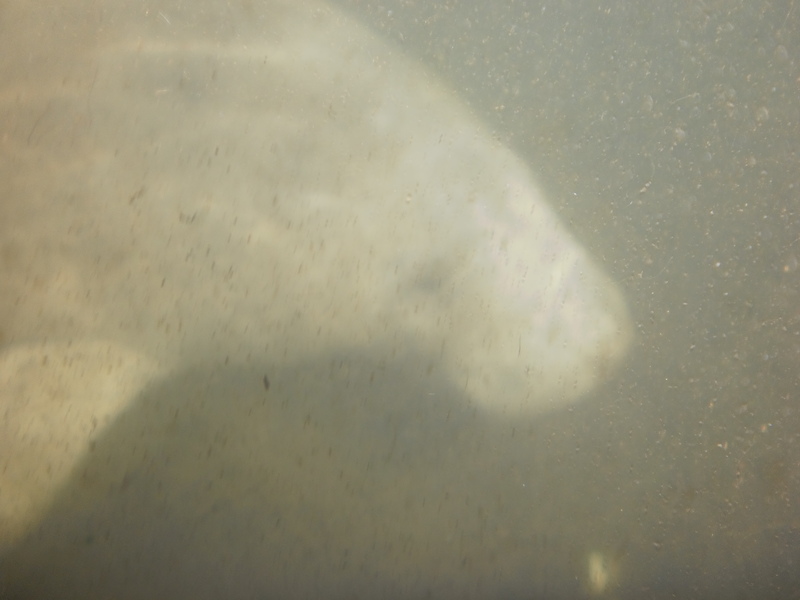 While you can take manatee snorkeling tours, we knew enough that we just did our own thing. We paddled from a shop called Crystal River Kayak along a canal to a place called Three Sisters Spring. Only swimmers and paddlers can get back into the Three Sister and the water is as clear as tap water. We paddled in our kayaks, then put on our snorkeling gear and went over the side to swim with the manatees. Most of them were just resting on the bottom and bobbing up for air every 10 – 15 minutes, but some came right up to us so we could pet them. Manatees are not small animals. 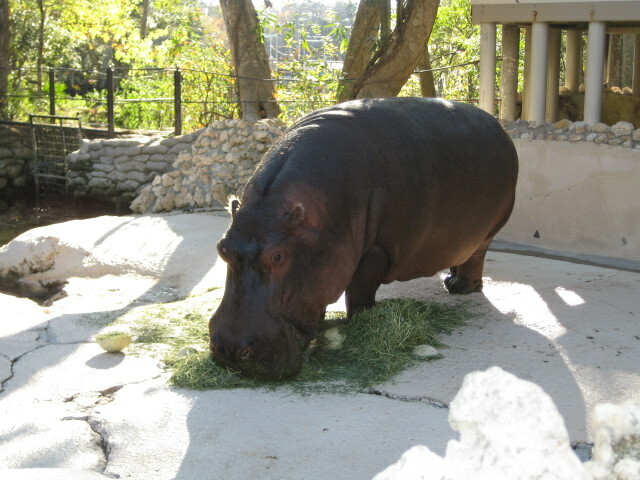 They can grow to 15 feet and weigh 2-3,000 pounds. However they are not aggressive at all and are plant eaters. 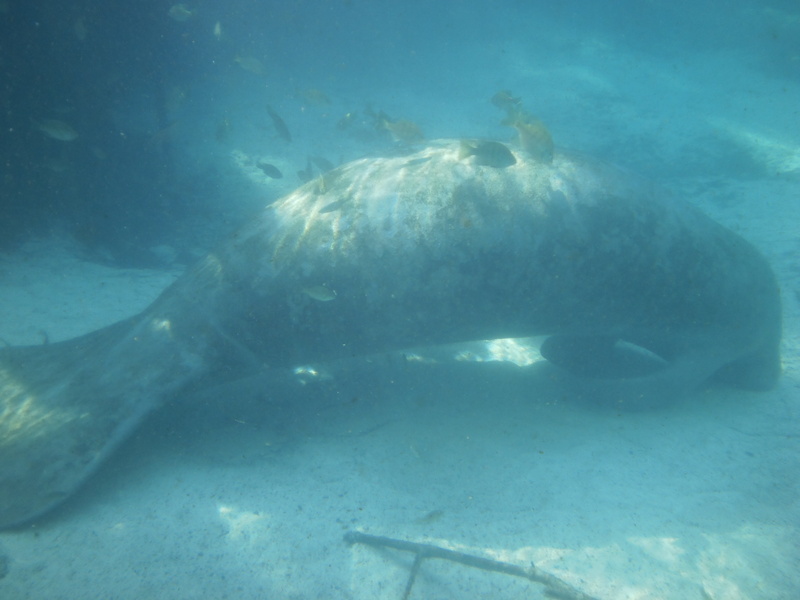 Manatees are often injured by power boat propellers and reserves have been established in which you can’t boat or swim. 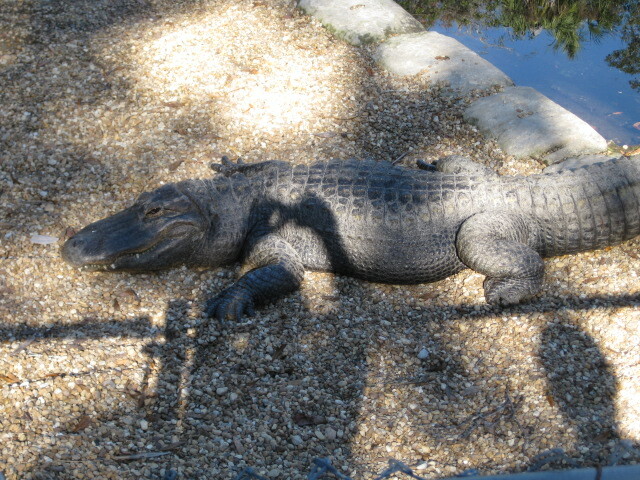 We visited the Homosassa Springs Wildlife Park and saw all kinds of animals. This park does not import any animals but “rescues” animals that have been injured or abandoned. For example they have two black bears that are native to the area, but were abandoned by the mother when they were cubs and would not have survived in the wild on their own. In many areas of the park the animals are free and the people are in the cage. The park borders on the Homosassa River and the next day we paddled up the river into the springs by the park and swam with the manatees in that area. While we saw fewer manatees, there were far fewer people in the river, making it a much better experience. 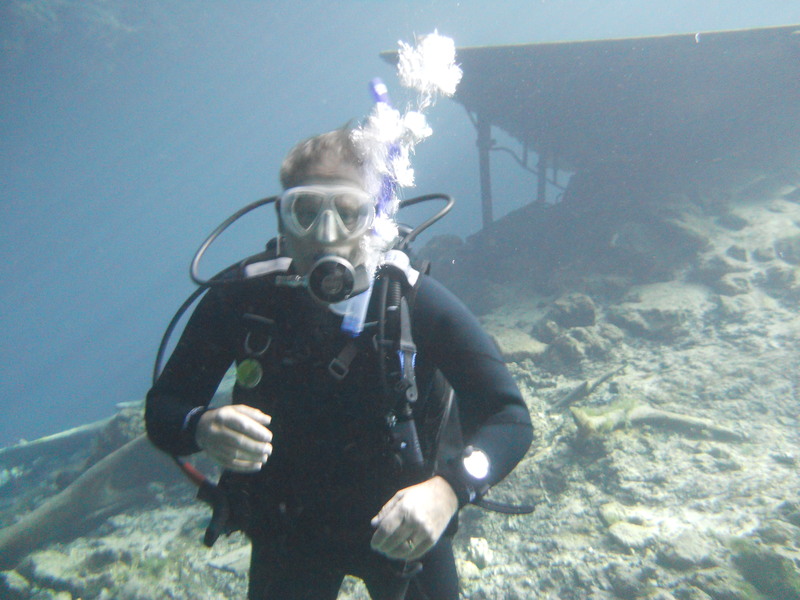 Bob decided to upgrade his SCUBA diving skills and took an Advanced Open Water Diver course at a local dive shop, American Pro Diving Center. He spent several nights studying the student workbook and did five SCUBA dives over two days, practicing skills in buoyancy control, underwater navigating, deep diving , night diving, and underwater photography. His most exciting dive was at a site called the Blue Grotto. This is a fresh water spring that had created a cavern and the roof had collapsed creating an access pond. The water temperature is a constant 70-72 degrees and perfectly clear. They had underwater lights to increase the visibility at the bottom, and a cable to follow as you swam behind the debris pile into the cavern. 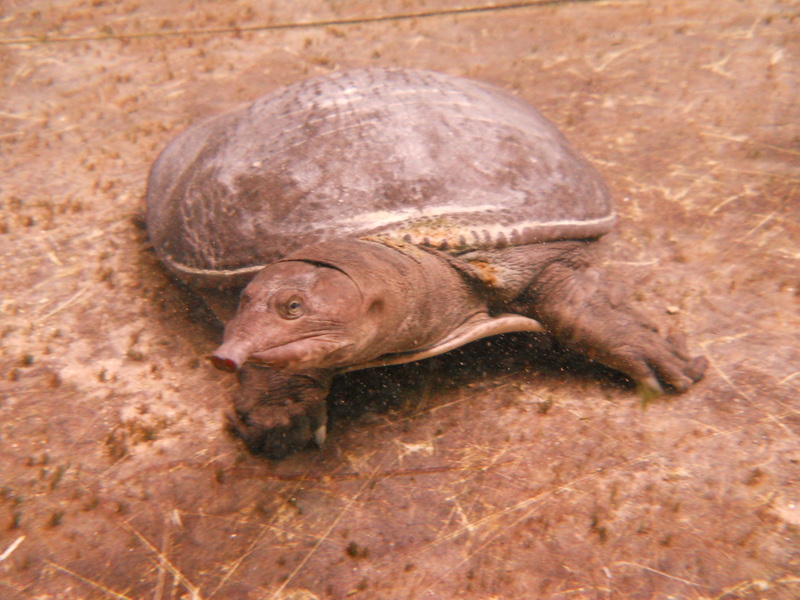 There was a soft shelled turtle that was so used to divers that it would come right up to you and play with you. 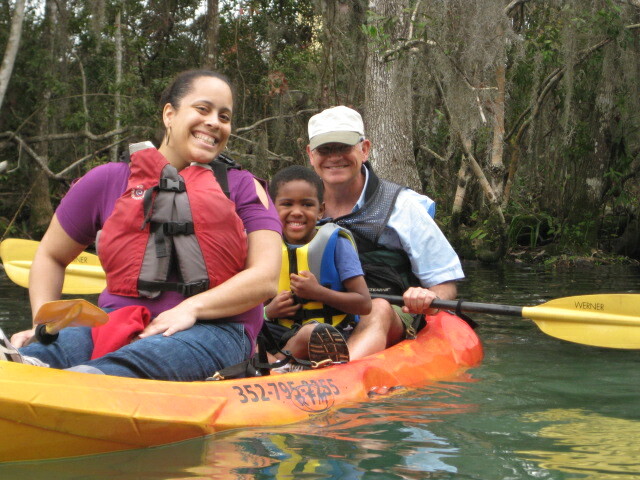 Our niece Robin and her kids, Destiny and Jeremiah came up from the Tampa area to visit us and we took them kayaking to Three Sisters Springs. Destiny and Pat paddled solo in our kayaks and Bob took Robin and Jeremiah in one we had rented. 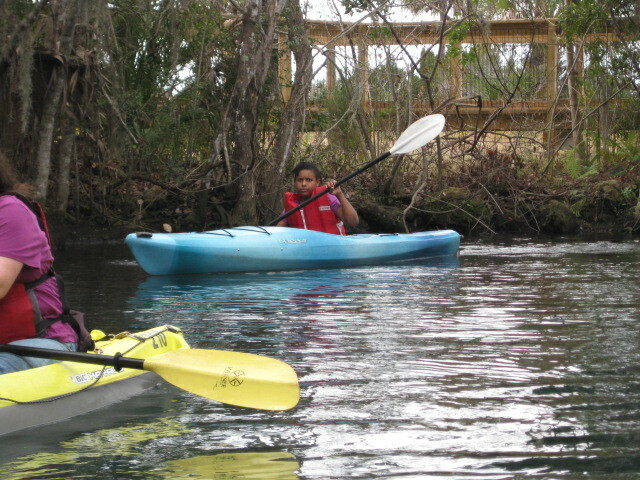 It was Destiny’s first time kayaking, but it wasn’t long before she was paddling like she had been doing it for years. This entry was posted in Florida, Fulltime RV and tagged American Pro Dive Center, Blue Grotto, Crystal River, fifth wheel trailer, full-time RV, fulltime RV, Homosassa Springs, Kayaking, RV Forums, SCUBA diving, snorkelilng, Swim with the Manatee, Three Sisters Spring. Bookmark the permalink.